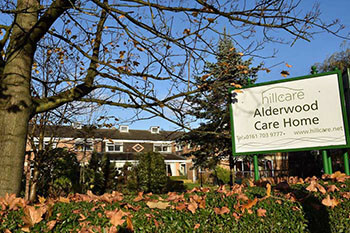 Within walking distance of a range of local shops and situated on a main bus route, Lever Edge Residential Care Home is perfectly placed for families and visitors. Our purpose built, fairly modern home is only two miles outside of Bolton Town centre in a secure, quiet, residential location. Lever Edge has 79 bedrooms, including 2 companion rooms and all but 3 rooms providing en-suite facilities. Residents are also actively encouraged to personalise their rooms with their own furniture and belongings; we believe that this not only helps them feel more at home, but also aids our residents in settling into a new environment. Our rooms contain internet access, TV aerial sockets and nurse call systems; as well as this, all of our rooms are wheelchair accessible for any residents this may apply to. Lever Edge Dementia Residential Care Home in Bolton, Greater Manchester has a small shop and a car park to be used by our residents, visitors and staff alike. Newspaper orders and deliveries also taken and received daily here at Lever Edge. We offer snacks, fresh fruit and refreshments 24/7 to our residents and we have a choice meals at our meal times, ensuring everyone always has something they like to eat. Residents are able to have their meals within their own room if they wish to do so and we also welcome friends and family members to our home to share a meal with their relative/friend. Our meal times are protected and we cater for any dietary and cultural requirements, as well as any celebrations our residents would like to share with us all. We also have occasional special and themed meal nights, giving everyone an opportunity to do something different over meals and have some fun. Lever Edge Residential Care Home houses 5 communal lounges which are ideal for our residents to socialise together or with visiting members of their family or friends. If our residents just want some peace during their day, we also have a quiet lounge without any TVs or anything else disturbing the calm and quiet atmosphere. In the home, we have our own hair salon, creating perfect pampering opportunities and a tea room creating tranquil afternoons spent catching up with loved ones. Our kitchenette is free to be used by both our residents and their visitors alike and our lift means there’s no difficulty for anyone wanting to go upstairs. Outside, we have an enclosed courtyard garden which encompasses raised flowerbeds and comfortable seating areas for our residents to take benefit from in the warm summer months. Our garden is wheelchair accessible so everyone can enjoy our outdoors. We also have a secure and open patio area so everyone can enjoy the garden in whichever way they like.